If there is a voltage at the motor (at least 4-6 Volt at low speed and 12 Volt at high speed), but the motor doesn't run, the motor is bad or jammed. Testing the voltage at the blower motor. If there is a voltage at the motor (at least 4-6 Volt at low speed and 12 Volt at high speed), but the motor doesn't run, the motor is bad. Leaves, twigs, nuts, pieces of a ripped cabin filter can jam the blade of the blower motor. This happens in many cars. If there is no voltage at the motor, the entire blower motor circuit must be tested, starting from a fuse. See: how to check a fuse in a car. The blower motor replacement costs from $320 to $650, depending on the car. If you need a proper diagnostic procedure, we posted several links where you can access a service manual for your car for a subscription fee. Check this post, scroll down the page. Where to take your car for repairs? Your local mechanic or any small repair shop should be able to diagnose the problem. Of course, the quickest way is to make an appointment with your local dealer. Many dealers have the part in stock. The blower motor resistor replacement is not very expensive. When the fan stopped working at lower speeds in our 2010 Ford Escape, we paid $50 to diagnose and $112 to replace the resistor at our local Ford dealership. When the same problem occurred two years later, we ordered the part online for $25 and replaced it in our driveway. 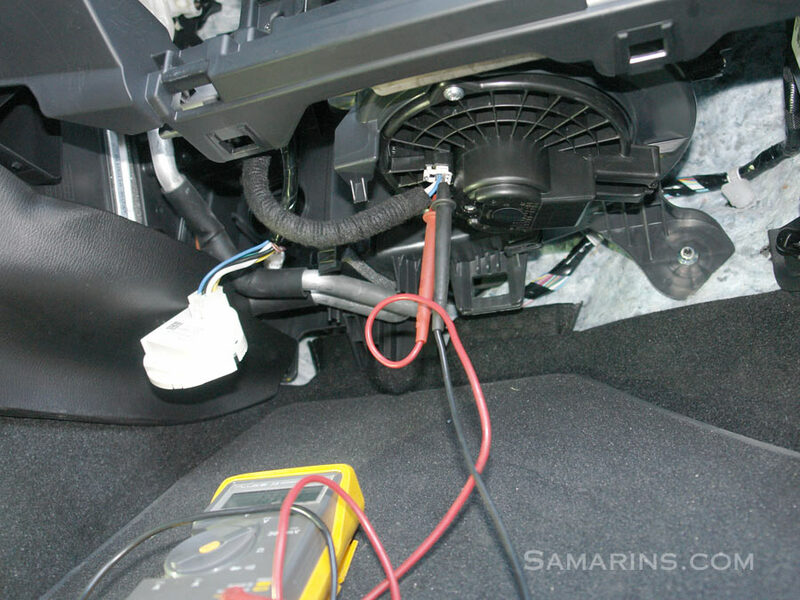 In 2008-2011 Ford Escape / Mazda Tribute, the blower motor resistor is located on top of the HVAC unit air duct behind the glove box. It's held by two screws. In the 2008-2011 Ford Escape, the resistor is located behind the glove box on top of the HVAC unit air duct. It's held by two screws and is easy to replace. See the photo. 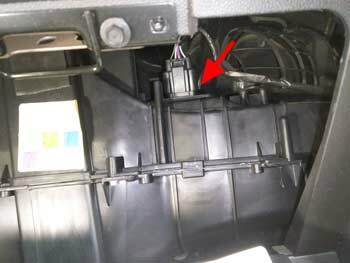 In the 2008-2011 Ford F150 the blower motor resistor is also located behind the glove box, but is installed in the right side of the plastic air duct. This thread at f150online.com shows where the resistor is located. The author of this blog shared his experience of replacing the blower motor resistor in Jeep Liberty. In some older cars and trucks the blower motor resistor is installed on the firewall, with the access from under the hood. Where to buy a part? If the part is too expensive at your dealership, you can order it online. We checked Amazon, eBay, RockAuto and AutoZone websites and found their prices much cheaper. For example, the blower motor resistor for the 2008 Ford Escape is sold for $16-$30 online, which is almost half the price we were quoted from our local Ford dealer parts department. This diagram shows how the blower motor resistor is connected in a typical car. In this car, in the highest "4" fan speed setting, the resistor is bypassed and the blower motor is powered directly by the fan switch. That's why in some cars, the blower motor may still work in the "High" speed setting if the resistor is bad. In this diagram, the fan switch is set to the speed "1", so the blower motor current is reduced by three resistors (R2 + R3 + R4) connected in series. The current flow is shown in blue and red. In the setting "2", there are two resistors connected in series, and in "3", there is only one resistor. Adding resistance to the electric circuit reduces the current in the circuit. When several resistors are connected in series, the total resistance is increased and is equal to the sum of individual resistances.